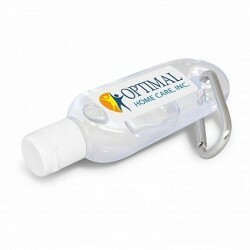 Put your logo in your clients' hands with promotional hand sanitisers. Brand recall is all about constant exposure, which is why these branded hand sanitisers are considered great promotional items. Convenient and practical, personalised sanitisers answers a customer’s need for a fast and efficient germ-fighting protection. 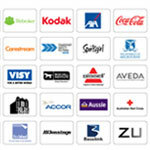 With your brand logo or name customised on these promo products, you are sure to enjoy continuous brand visibility. Options offered here at ACE range from printed pocket sprays to handy promo mini hand sanitisers with neoprene sleeve and clip on attachment. 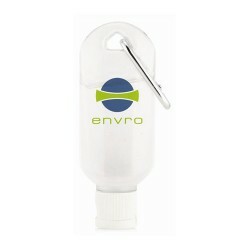 We also have custom waterless hand sanitisers for people on the go and also ideal as conference or tradeshow giveaways. 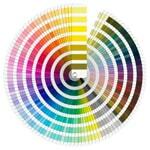 For assistance in making a selection, you can enquire with our promo merchandise sales team. 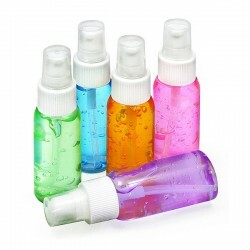 Custom printed sanitiser gel, great for trade shows, outdoor events, travel and anyone on the go! Fits easily in the pocket or purse. 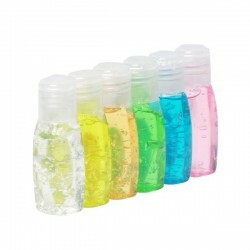 Mini clear squeezable oval bottle with flip top cap. Contains approx 30ml. 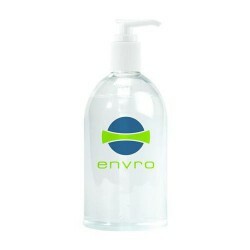 Waterless sanitizing Hand Gel, great for trade shows, outdoor events, travel and anyone on the go! These promotional hand sanitisers come packaged in a transparent, recyclable 50ml PET bottle, with white pump cap for added convenience. 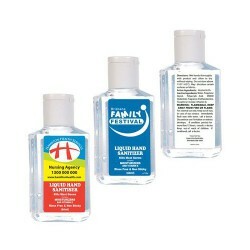 Printed hand sanitiser gel, great for trade shows, outdoor events, travel and anyone on the go! Easy to use, no water required. Will keep hands fresh and germ free. 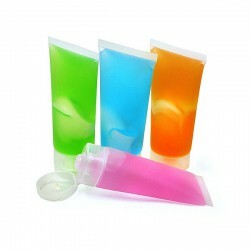 This promotional sanitiser tube is a Frosted 50ml tube with flip top cap. An odourless FDA approved hand sanitiser gel made with aloe. 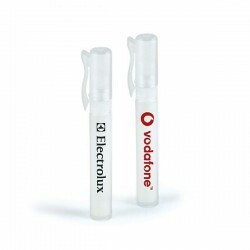 Comes in a 30ml clear plastic dispenser with a full colour digital label. 15ml citrus scented spray pump hand sanitiser. 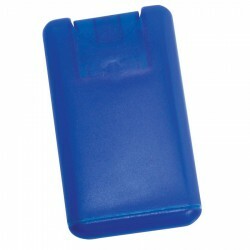 Compact, hand bag friendly, with trigger protector which stops spills. 30ml citrus scented spray pump hand sanitiser. 62% alcohol content. Dispenses recommended amount of sanitiser to thoroughly cleanse hands. 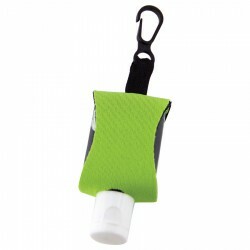 Ideal for handbags, sportbags and pockets. Label needs to include statutory information - see line drawing. 60ml alcohol based clear gel with moisturiser and Vitamin E in Clear plastic squeeze bottle. Kills most germs and leaves hands feeling refreshed and clean. 62% alcohol content. 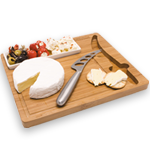 We recommend including statutory information on front label (see line drawing). 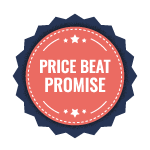 Dangerous goods freight surcharge removed, now at standard rates. No need for water with this anti bacterial hand wash. Just rub on your hands and watch it clean then evaporate! Capacity 59ml. 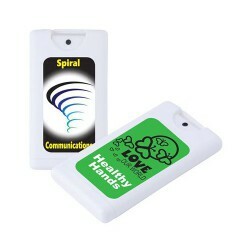 Pocket sized 10ml card style hand sanitizer gel, for use anytime, anywhere, without water or towels.